We represent women in the Church Women United in Southern California – Southern Nevada unit. CWU Southern California-Southern Nevada offers a unique setting to work for the realization of CWU’s historic commitments to justice, peace, freedom, gender and racial equality. Church Women United SCSN has a strong sense of identification with the needs of women, children and families and seeks ways to work for peace and justice. 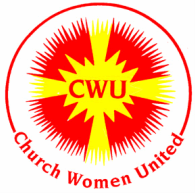 Founded in 1941, CWU Southern California-Southern Nevada is a movement representing Protestant, Roman Catholic, Orthodox and other Christian women biblically based, with a shared Christian faith. We are impassioned by the Holy Spirit to act on behalf of women and children throughout the world; and recognized as a non-governmental organization by the United Nations. We are a diverse group of women who come together to celebrate and enrich our own lives and the lives of others. We are endeavoring to reach out to more and more women in our region. You are welcome to attend the activities and celebrations that are held in this area and throughout the country. Please check for upcoming events and also share your local event schedules with us for future publishing.